Last Year: 8th with a 12-12 (+34) record and 28 points. 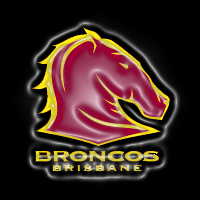 Rebuilding through the system took a backseat in the off-season after the Broncos slipped to 8th in 2012... the decision makers brought in Scott Prince to improve their title chances but was Anthony Griffin's team only a 33 year old halfback away from a title a season ago? Scott Prince gets his chance to prove he's not past it with a spot in the halves... but if he's going to go through the motions in attack like he did the last two seasons (turn a forward inside time after time and then hope for a result from his last tackle kick) then the Broncos will move on from him very quickly. It's not like Prince hasn't got any ability, it's just the speed at which he plays the game is not what it once was... David Stagg might have a role to play in the backrow if any one of Corey Parker, Matt Gillett or Alex Glenn need a break, while Jharal Yow Yeh will seem like a new signing if he is able to return from a badly broken leg the same player he was pre-injury. Kurt BAPTISTE, Delroy BERRYMAN, Joe BOND, Luke CAPEWELL, Dale COPLEY (out for 2013), Luke DALZIEL-DON, Mitchell DODDS, Liam GEORGETOWN, Brendon GIBB, Jake GRANVILLE, Ben HUNT, Jordan KAHU, Denan KEMP, Dunamis LUI, Lachlan MARANTA, Chris McLEAN, Francis MOLO, Corey OATES, Nick SLYNEY, Jarrod WALLACE, Aaron WHITCHURCH. Stephen COOMBE, Cameron CULLEN. Caleb TIMU. BRI: C Norman, J Hoffman, J Reed, J Hodges, L Maranta, S Prince, P Wallace, J McGuire, A McCullough, S Thaiday (c), A Glenn, M Gillett, C Parker. Bench: B Hunt, B Hannant, M Dodds, D Stagg. Jordan Kahu is highly regarded in the outside backs but is coming off two knee reconstructions and his pre-season form wasn't good enough to convinced his coach to put him in the side with a spot seemingly wide open. Joe Bond and Delroy Berryman joined the squad in the off-season but may have to wait a long time for a chance, and the same goes for young prop Jarrod Wallace who impressed in a short first grade stint last year. NYC forward Caleb Timu is still a couple of years away. The Broncos play a big game every week according to Channel 9 but their first two home games should be a great indication of their contendership. On Friday March 8 they host Manly in Round 1, while in Round 4 the Storm come to town on Friday March 29. The Brisbane faithful will keep filling the seats but if they drop both games - it's not a great message for what's to come at Suncorp for the rest of the season. 9th | The Broncos just got into the playoffs last year and this year shapes as a tougher ask with a few teams below them likely to improve. If they chop and change in the #1, #6 and #7 all year - they won't be playing into September. 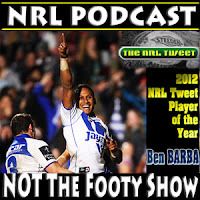 Can Justin Hodges or Scott Prince take Ben Barba's mantle as the game's best player in the 2013 @NRLTweet Player of the Year Awards?